Exactly what is time? Some say time is a unit of measurment to calculate the lapse between one moment to the next. I say it is much more than that, although time cannot be touched or felt really, time is part of the human bodies natural evolution. First of all time could be described as a frequency, one that resonates throughout space and time itself, which could be perceived by capturing its frequency. Because of relativity throughout the entire Universe, time is the same as long as you stand still at any point in space and time. But movement affects time, hence the time on earth is not the same as time on Mars or Venus, it is all about gravity and location in space. Hence if your in outer space and no where near any gravity source you would age much slower. Light also affects time. But we will save that discussion for a later time. 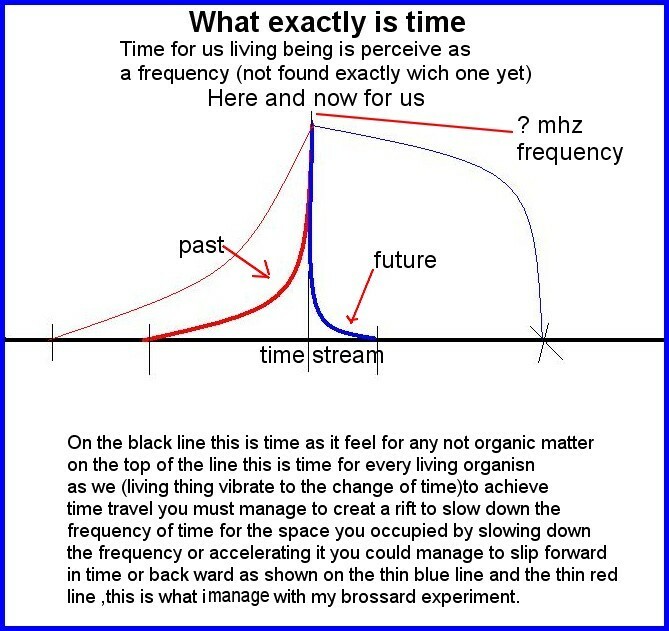 Instead we will concentrate on the simplest answer: Time time as a frequency. Exactly. 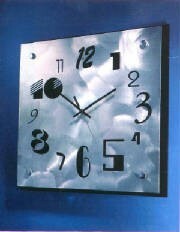 Time vibrates to a frequency throughout space and time itself and the mind is an interface which perceives it. As time moves forward we move along with it. (We call this a temporal inertial weight) It is what make us grow old and what creates the wear and tear on all living things. Also we must not forget earth’s gravitational field . You may have noticed from time to time, that when our mind wanders, time seems to go faster. Inside our minds our perception of it may be distorted by our imagination and weariness. This can occur when we are driving. When we look only at the road ahead we don't see the delay of time going by us. What might seem like minutes to us might be, in reality, hours. All of this takes place while we are awake. When we are sleeping it is another matter entirely. When we sleep our conscious mind goes into REM sleep mode and then your brain creates your dream process. In your dreams, you can sometimes spend hours, days, or even years. Then when you become awake once again you are tired beyond what you would expect, feeling as if you barely slept at all. Could this be real!? For a few moments of our time, in your dream state, you actually spent a lot of time in another place. This drains your mind and body. This is how time tricks your body and yourmind. I myself, have spent a countless amount of time in other dream dimensions living for at least 9 month of time somewhere else, literally thinking I was there. I was lucid and could feel pain and changes throughout the process, I awoke then shortly after being scared by something. It was then that I found that these moments in this other world, this had all occurred within the matter of a 6 to 8 hour, non-stop REM sleep cycle. If we want to counter this reaction and slip through time we need a mind interface device that will help us lose some temporal inertial weight and slip through time. We call this machine, "the Radionic device." We will also come back to this later. Let’s stick for now to what time is, exactly. If we want to travel through time we need to understand that time is more than just a frequency. It certainly is a frequency, but we need to understand more than just this. Now that we are clear that time is a frequency, let us check what we can do about breaking the time barrier. ''They were talking about the Roswell visitors and Admiral George Hoover said that these visitors were us from the future. They were time-travelers; they weren’t extraterrestrials. Now, other researchers and whistleblowers have spoken about the same thing, and this is fascinating in itself. But what Admiral George Hoover said “the biggest secret” really was... it had to do with the abilities and the power of the consciousness of these travelers. Because they were us from the future, what the military authorities had found out was what humans are really capable of. And he said that this had been buttoned up really tight, because if we knew how powerful we really were, how powerful we really could be, then we would, in his own words, cause chaos around us, and this could never be permitted. We could rearrange the reality around us in the way that we wanted to, in the way that – if this is real – that the future humans had learned how to do, which gives them access to these sorts of incredible abilities, such as time-traveling. Philip Corso, in his book The Day After Roswell, described in some detail how his understanding was that the way the craft works was they were like an amplification of the pilots’ own consciousness. It was their consciousness. It was their ability to travel and bi-locate that was amplified by the craft, and that actually all of these abilities are basically abilities connected with the consciousness of the beings themselves.